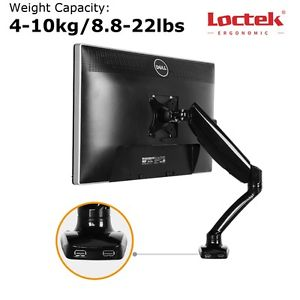 LOCTEK monitor mounts are made of high grade plastic & aircraft-grade aluminum with up to 22lbs loading capacity . 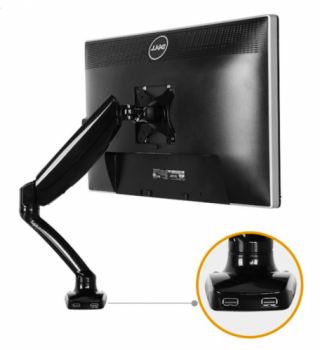 Fits most LCD monitors 10" to 27" with VESA up to 75 x75 & 100 x 100 mm. 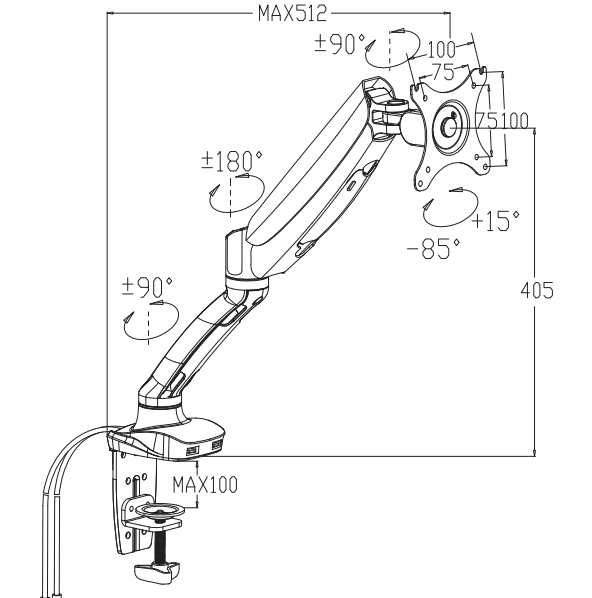 Gas spring technology let you adjust exactly how fluid/stationary you want. 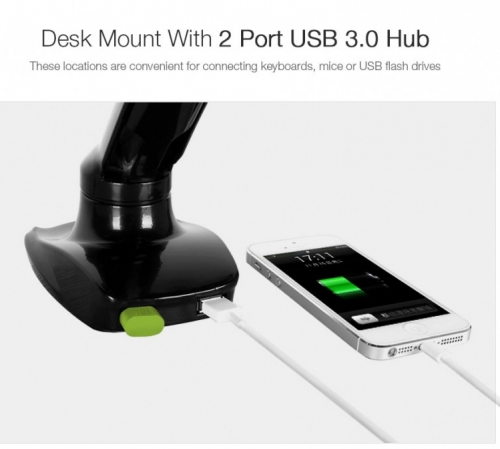 Our desk mount with 2 port USB 3.0 Hub, which are convenient for connecting keyboards, mouse, or USB flash drives.